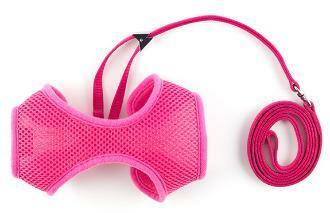 The Ancol Soft Harness with perminently attached lead is the ultimate in comfort. The greater surface are offers improved support and is easier to put on a struggleing cat. Also great for puppies and even rabbits.